Magnus Paajarvi has not been a topic of discussion since being traded by the Edmonton Oilers to the St. Louis Blues in the 2013 offseason. Paajarvi, a ninth-overall draft selection by the Oilers in 2009, showed promise in his rookie season in 2010-11 as a 19-year-old scoring 15 goals and 19 assists. But since then, the Norrkoping, Sweden native has seen his statistics, along with his career, take a dip. The next two seasons in the Oilers’ organization saw Paajarvi spend half the season with the NHL club and the other half with the AHL’s Oklahoma City Barons. With the Oilers, Paajarvi posted 8 points (2g, 6a) in 41 games in 2011-12 and 16 points (9g, 7a) in 41 games in 2012-13. Edmonton would trade Paajarvi, a restricted free agent, and a second-round pick to St. Louis for winger David Perron in the offseason. The Blues then signed Paajarvi to a two-year, $2.4 million contract. 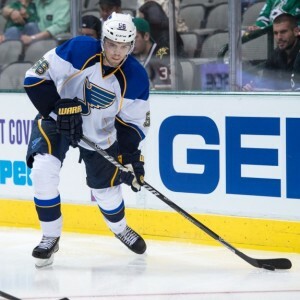 In his first season with the Blues in 2013-14, Paajarvi suffered an upper-body injury in October that required him to be placed on injured reserve early into the year. That necessary adjustment period to a new team was not available to Paajarvi and, therefore, has yet find his footing with the Blues. Paajarvi totaled 12 points (6g, 6a) in 55 games in 2013-14. Last season, however, the speedy winger spent most his time with the AHL’s Chicago Wolves and played in just ten games for the Blues tallying one assist. 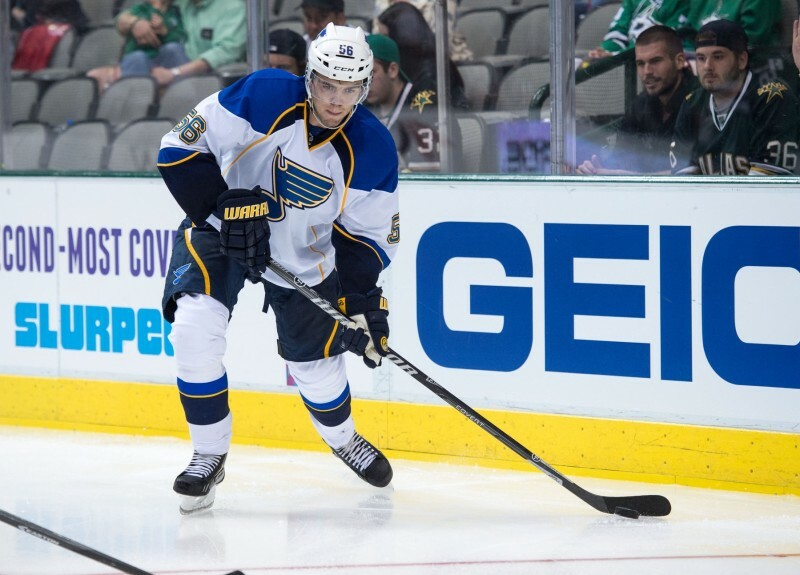 After another disappointing year with the Blues and his two-year contract expiring, many thought Paajarvi would be interested in playing in Europe for the 2015-16 season. He was not. The 24-year-old signed a one-year, $700,000 deal with St. Louis. “I’ve invested five years here,” said Paajarvi. “I want to play in the NHL. I’ve shown I can play in the NHL. My goal is to be [in the NHL] for a long time. Sure, teams and my agent have talked to me about [playing in Europe]. My agent back home told me teams have approached, but that was never on my mind. Right now, my mind is [in the NHL] for a long time. If it takes me to be [in the AHL] for a while, then I’m going to battle it out. As it stands now, he is going to have to battle hard and hope for a fortunate circumstance or two for a roster spot in St. Louis. Despite an impressive training camp, the Blues cut Paajarvi among others to meet the league’s maximum 23-man roster rule. Paajarvi already made an impression in the Wolves’ season opener by scoring a goal and an assist in a 5-1 victory. Follow Colin Fitts on Twitter, @FittsTHW, and e-mail him at 22fitts@gmail.com.